QuickViewer is a open source free image viewer for windows system.It is a portable application. It uses the OpenGL to drawing the imported image data on the screen and read of image data in advance.The result of this you will get faster and smoother image view. It is released under GPLv3 licence. The main features are speedy image viewer and spread viewing for digital books. QuickViewer will read images from zip/7z/rar/cbr/cbz archives directly. It will show images in bmp, png, jpeg, dds, webp, ico, tga, tiff, gif formats. It will also show raw digital camera images like Canon (crw, cr2), Nicon (nef), Sony (arw), Ricoh (dng). You can make, view and search catalog from thousands of your digital books and also search books from auto generated tags. 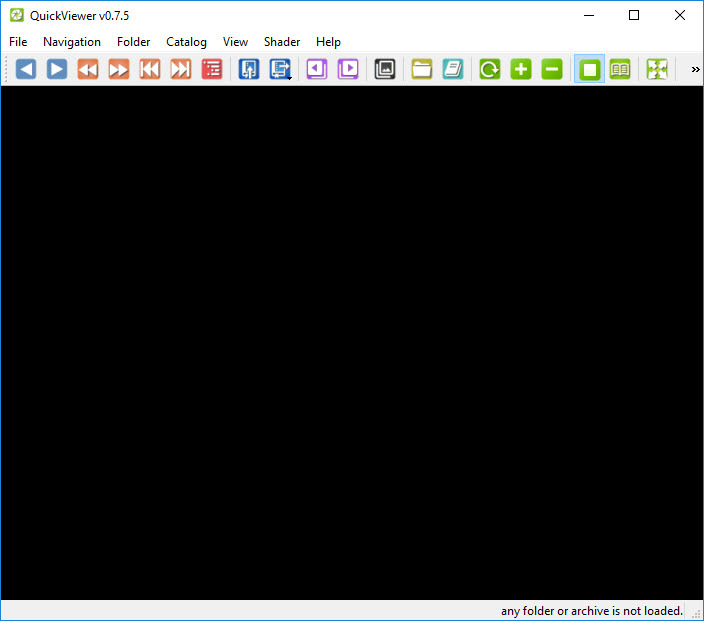 Download QuickViewer from the below download link based on your windows platform. The downloaded file size is around 20MB. Unzip the downloaded file and open the extracted folder. And click the QuickViewer.exe to open QuickViewer image viewer. It is available for Windows Vista and later.